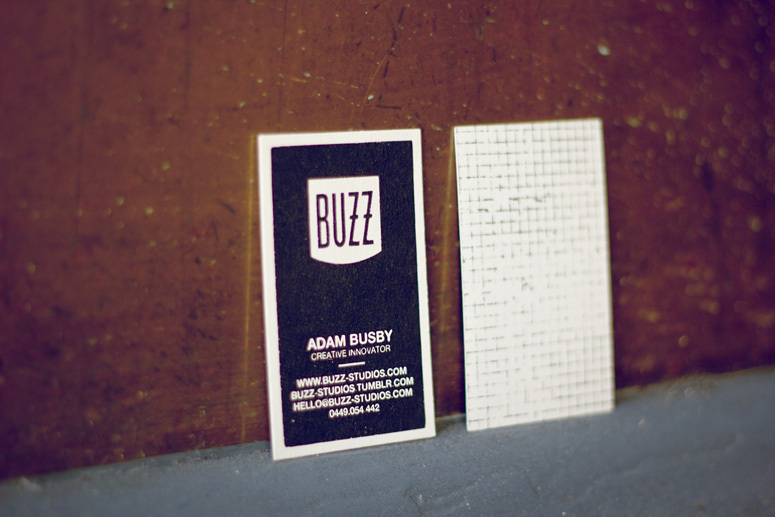 I decided to screen-print these cards, and it really paid off. 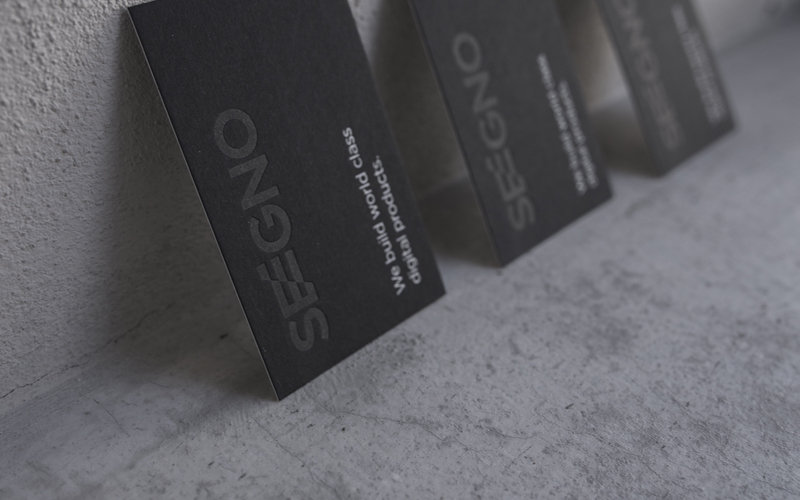 The rich black ink just melted into the 390 gsm cream stock, and gave it a such a lusciously tactile texture that you can't resist touching. 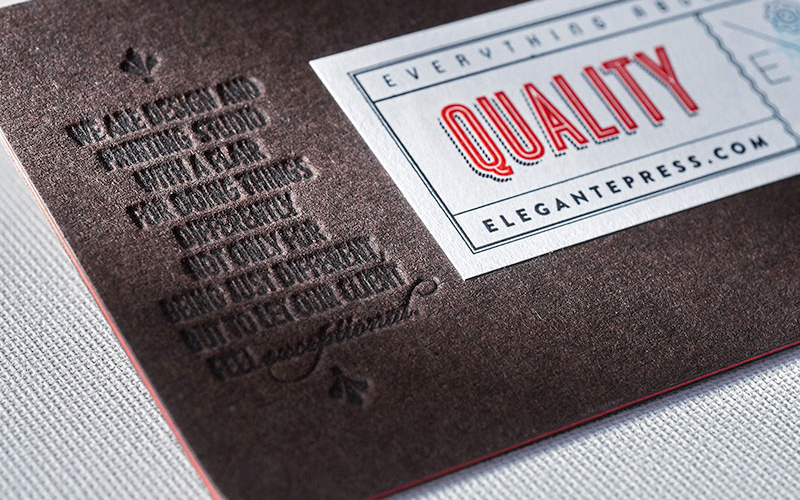 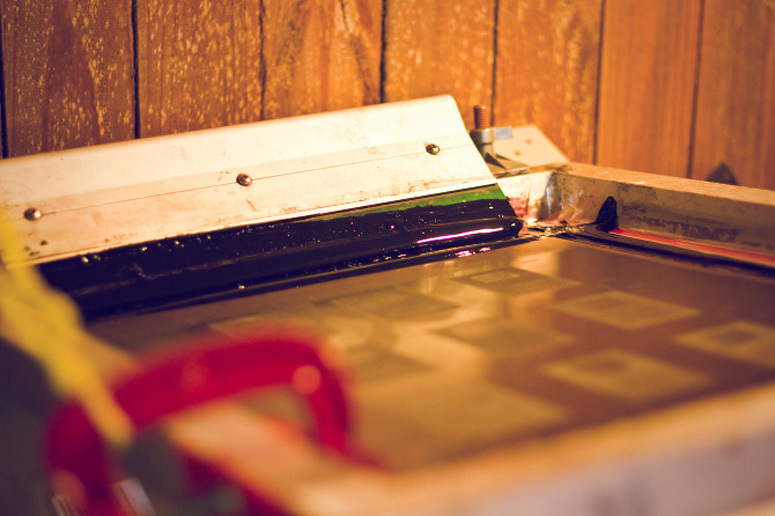 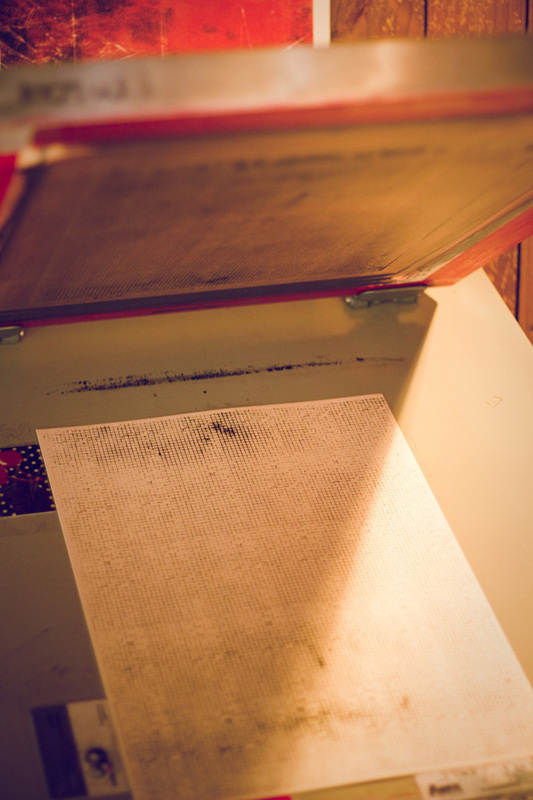 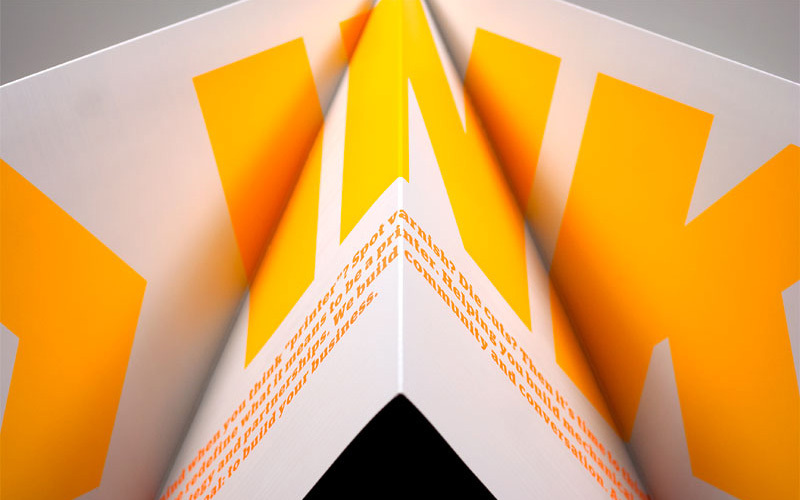 Screen-printing also gave it that final subtle vintage touch without being overpowering. 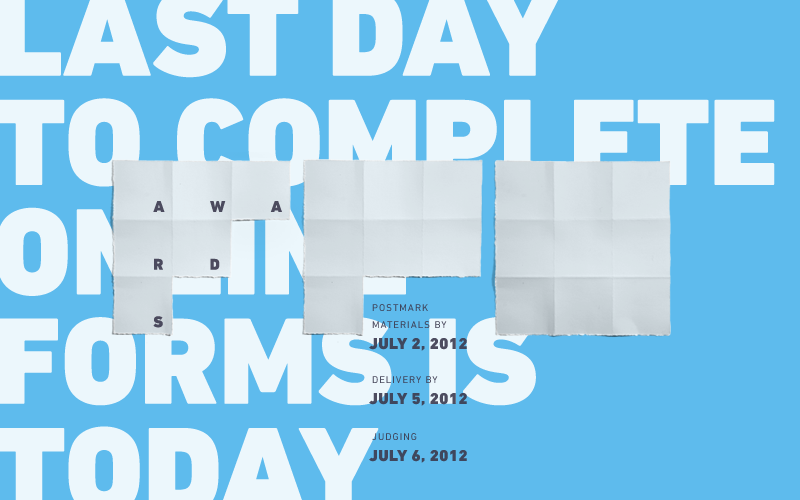 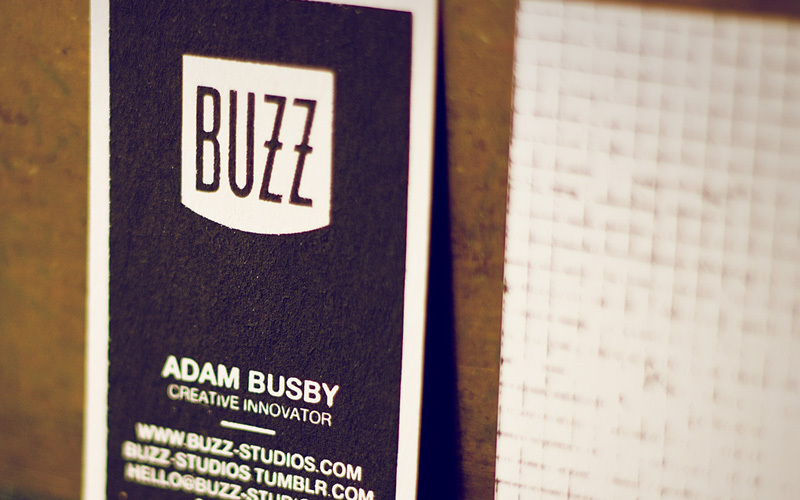 Screen-printing allowed for some really nice subtle texture variables, producing a different result with each card. 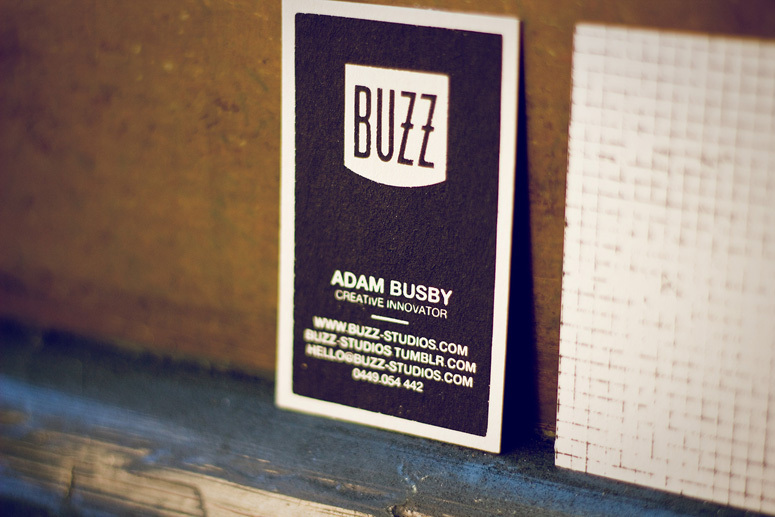 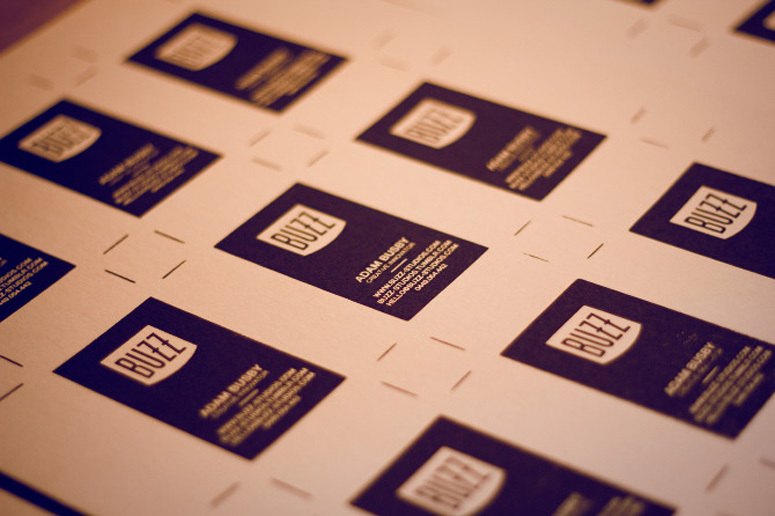 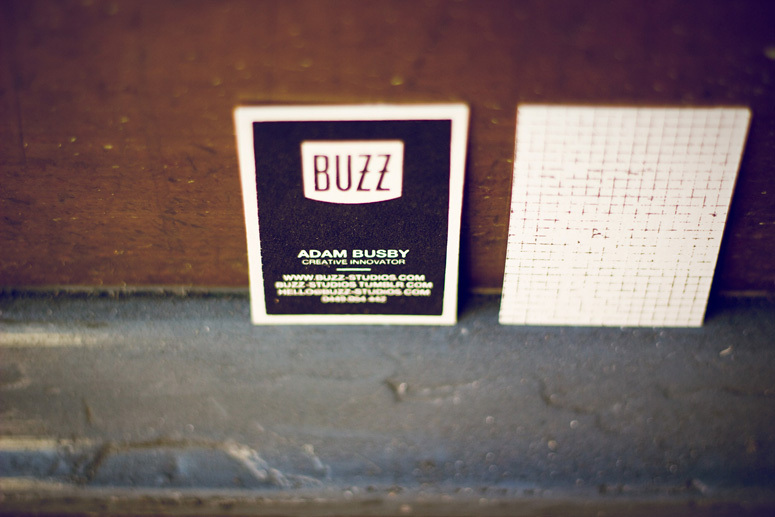 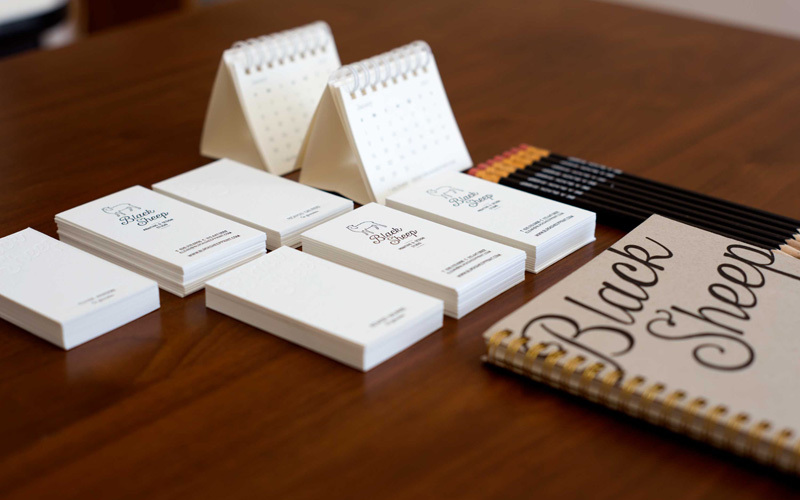 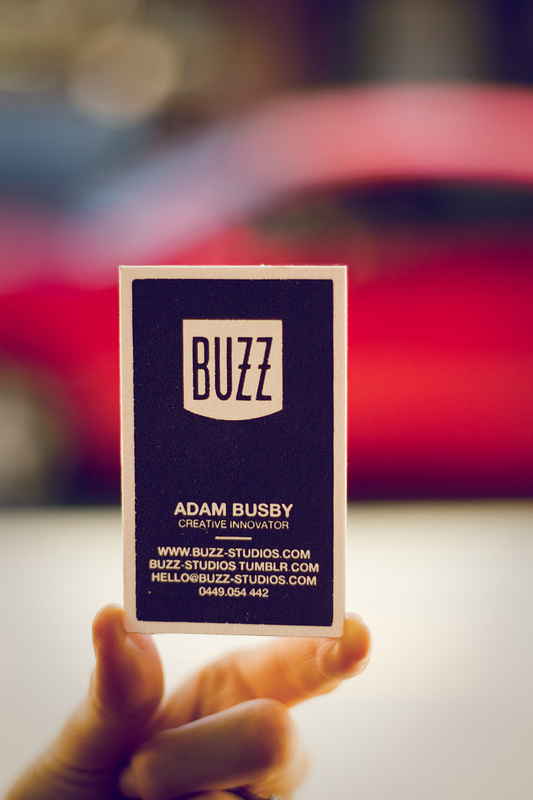 Black as night with heavy cream, Adam Busby's paradoxical business card will give potential clients a great Buzz.